“Policy Divisions” between the Joint Chiefs of Staff, The White House and the CIA? The latest Seymour Hersh piece alleges that the Joint Chiefs of Staff (JCS) under General Dempsey undermined the official White House policy on Syria. Their impetus to do so came after a Defense Intelligence Agency analysis found in 2012 that there were hardly any “moderate rebels” in Syria but only Islamists fighting against the Syrian state. The CIA was at least since early 2012 delivering weapons from Libya to Turkey as well as through other routes. The U.S. Ambassador to Libya Chris Stevens was killed on September 11 2012 in Benghazi over some issues with the weapon transfers. Once in Turkey those weapons, as well as plane loads of others purchased by Qatar and Saudi Arabia, were given to “moderate rebels” who took them into Syria. There they sold off at least part of every weapon and ammunition haul to the Islamists terror gangs which were, and still are, financed by the Wahhabi Gulf states. A new BBCRadio4 report by Peter Oborne explains in detail how that scheme works. The JCS, according to Hersh, was undermining its Commander in Chief. That is, arguably, treason but U.S. history is full of examples where the military chiefs were pushing into a very different direction than their civil commanders. Trueman versus Douglas MacArthur is just one example. Think of the closing of the Guantanamo prison which the military is actively preventing for seven years now despite Obama’s promise, demand and orders to shut Gitmo down. Hersh alleges that the mastermind of this entire conspiracy was Chairman of the Joint Chiefs Martin Dempsey, whom Hersh says was horrified by Obama’s plan to arm Syrian rebels and sought to aid Assad. This claim is difficult to believe: While in office, Dempsey famously and publicly clashed with Obama over Syria because Dempsey wanted to do moreto arm Syrian rebels. 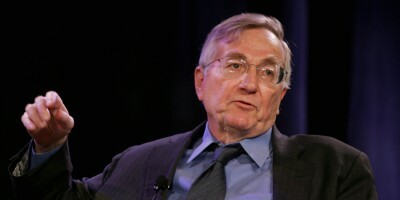 Contemporaneous accounts of arguments within the White House support this, with Dempsey arguing the US should more robustly arm Syrian rebels, and Obama arguing for less.Yet Hersh claims, with no evidence, that Dempsey was so opposed to arming Syrian rebels that he would commit an apparent act of treason to subvert those plans. Hersh makes no effort to reconcile this seemingly fatal contradiction, and indeed it is not clear Hersh is even aware that Dempsey is known for supporting rather than opposing efforts to arm the Syrian rebels. [D]id the Pentagon, Mr. McCain continued, support the recommendation by Mrs. Clinton and Mr. Petraeus “that we provide weapons to the resistance in Syria? Did you support that?”“We did,” Mr. Panetta said.